2018 Toyota 4Runner – If you have been looking for an SUV in a traditional sense, then 2018 Toyota 4Runner should be included on the list. It is a great SUV which comes with a solid rear axle and a body-on-frame construction. Thanks to its rugged capability, it is not very surprising that the new Toyota 4Runner has become one of the most attractive vehicles in 2018. While the new model is serviceable as a daily driver, it is also known as home on adverse terrain. What is New for 2018 Toyota 4Runner? Well, the new 2018 Toyota 4Runner comes with some different packages. Other features offered by the previous model are still available. With the addition of a third row, it can expand seating capacity to seven at the expense of versatility and some cargo space. However, if you are just looking for a family TAXI then the new Toyota 4Runner is not a right choice. The new 2018 Toyota 4Runner is a massive SUV which is available in 6 trim levels as buyers can choose TRD off-road, SR5 Premium, SR5, TRD Pro, TRD off-road premium, and Limited. 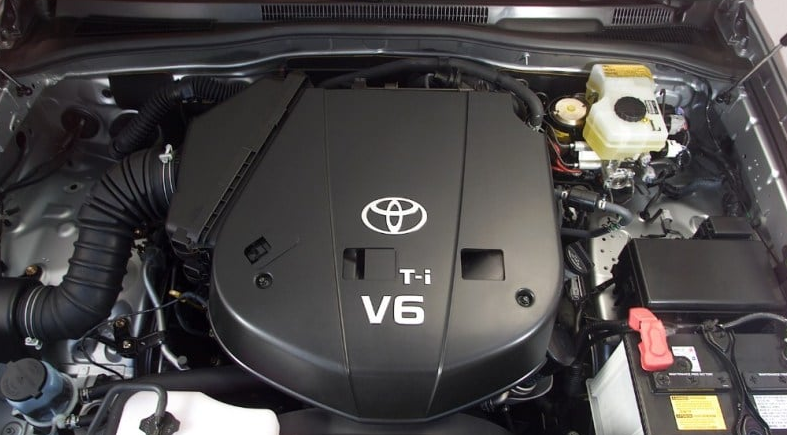 Please note that all models share the same 4.0-liter V6 engine which can deliver 270 horsepower. The engine is paired with a five-speed automatic transmission. Some trim levels such as Limited and SR5 are available in four-wheel drive or rear-wheel drive configuration. The base model which is the SR5 comes with some features such as a rearview camera, foglights, skid plates, power-adjustable front seats, keyless entry, and 17-inch wheels. It also comes with the standard infotainment system which boasts a USB port, eight speakers, a 6.1-inch touchscreen, and satellite radio. The next choice is the TRD off-road which adds more features such as a crawl control function, 17-inch wheels, and a locking rear differential. The interior of the car wears additional TRD badging. Stepping up to the Premium trim, buyers can expect more luxury features added. These features include simulated leather upholstery, an auto dimming rearview mirror, heated outside mirrors, and navigation. For serious off-roaders, then it would be better to consider choosing the TRD Pro. The TRD pro adds Bilstein dampers, revised front springs, a front skid plate, and special all-terrain tires. The next choice is the Limited trim which is luxury-oriented. It has some features such as dual-zone climate control, a sunroof, leather seat upholstery, and 20-inch wheels. With the use of the traditional body on-frame construction, it gives its clearance and ruggedness. However, it also adds weight that results in modest acceleration limits, braking, and modest cornering. 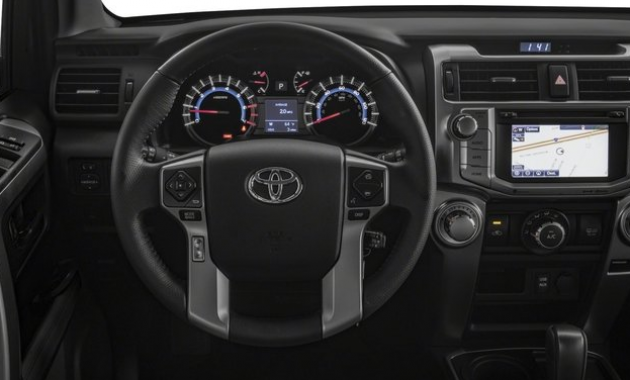 When it comes to comfort, the new Toyota 4Runner offers a reasonable mix of comfort. While it is not as comfortable as the typical crossover, this is a perfect SUV that you shouldn’t miss. The seating area offered by the new Toyota is sufficiently roomy too. The base model starts at $34,410. As for its release date, 2018 Toyota 4Runner will be available in 2018.